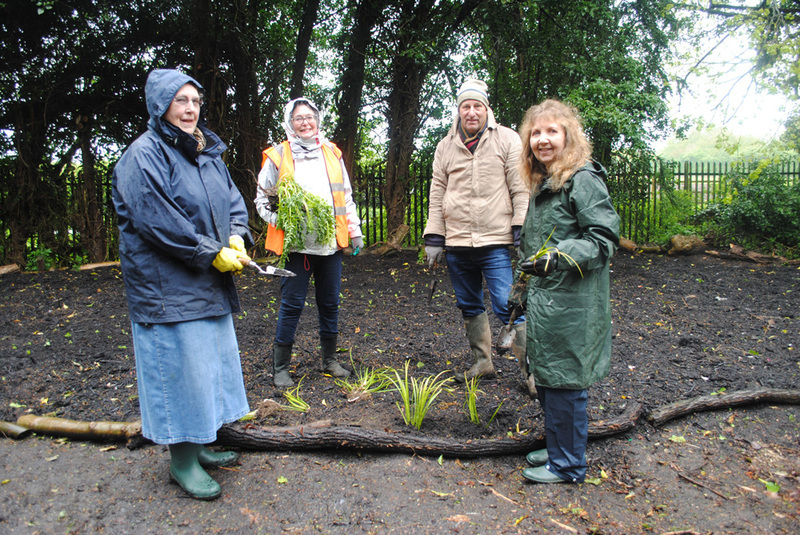 Planting has now been introduced to the newly installed Bog Garden by Boston in Bloom volunteers and Friends of Boston Cemetery at the Victorian Cemetery. Dating back to 1854, the Victorian Cemetery (part of Boston Cemetery) now has a new feature to attract wildlife. 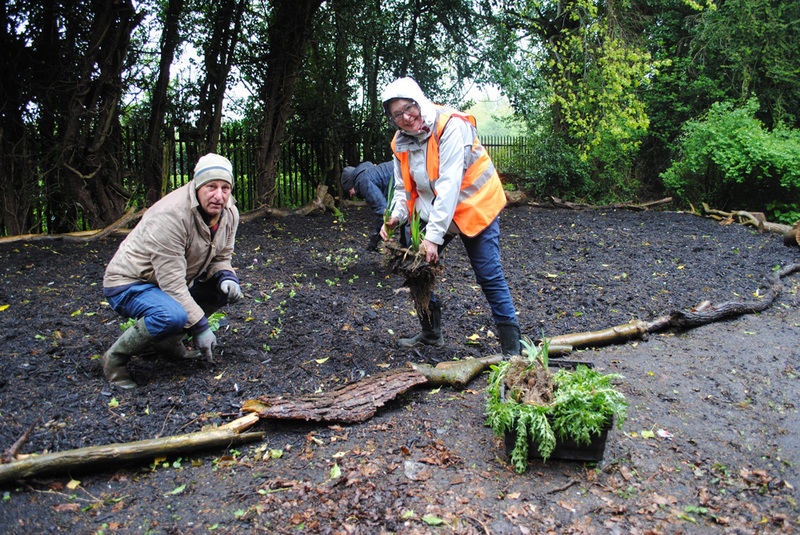 Located in the vicinity of the former ponds, a new bog garden was created earlier in the year as a joint initiative between the friends and bloom volunteers. Funded through a £500 Lincolnshire Wildlife Grant and financial support from Boston Borough Council, the new garden was planted-up in heavy rain by bloom volunteers, Alison and Paul, and Sandra, Joan and Ann from the Friends Group. The new garden features 600 plug plants including species such as marsh marigold, ragged robin, meadow sweet, water mint, cuckoo flower and purple loostrife. 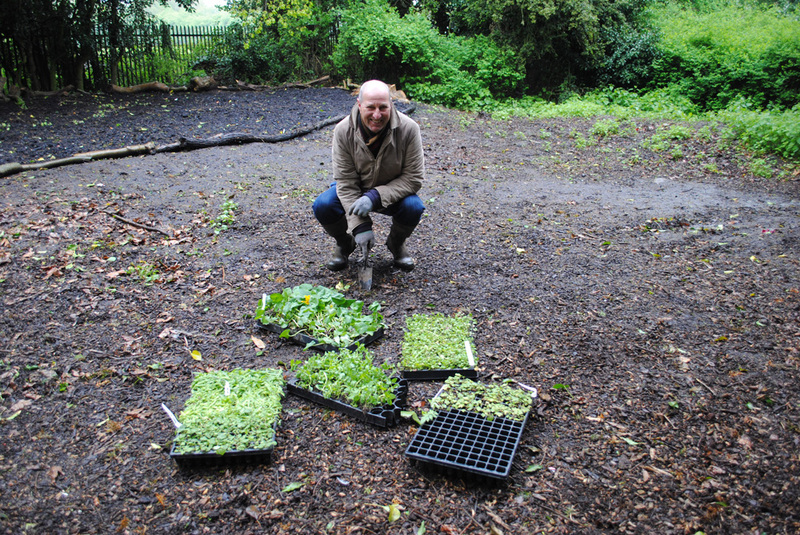 Volunteers also brought their own damp-loving plants to add to the site. When the planting is established it is hoped it will provide a home for amphibians, damselflies, dragonflies, bees and butterflies. A natural edging has been provided using logs and fallen branches from the Boston Cemetery grounds.